You can drive about 45 minutes from Yellowknife, then paddle and portage for another hour, and find yourself right smack in the wilderness. Hidden Lake is a territorial park with plenty of natural campsites (and already-built firepits). 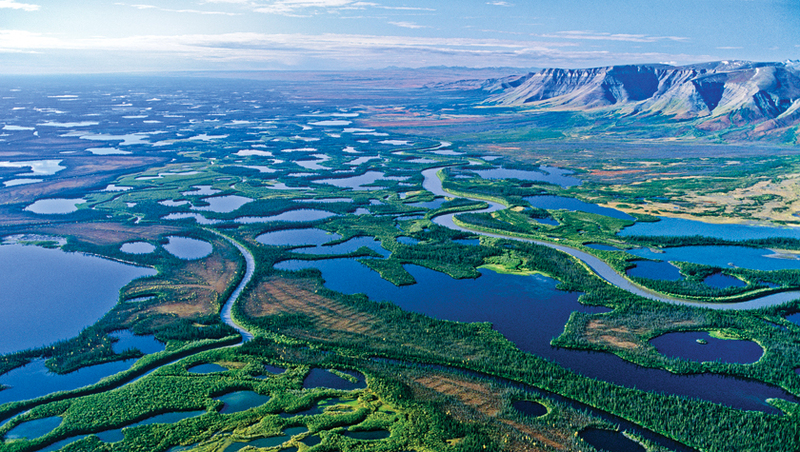 The Yukon River isn’t just iconic: It also makes an excellent introduction to multi-day canoe-tripping in the North. 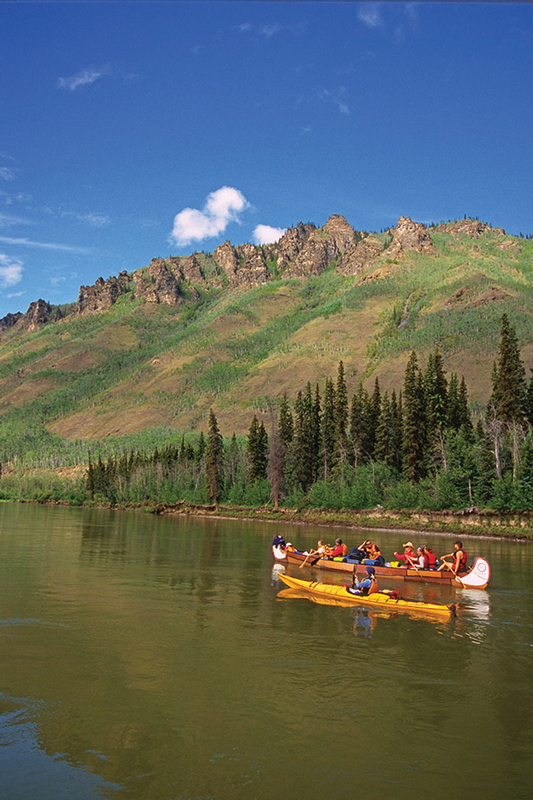 The classic stretch is from Whitehorse to Dawson City, which can take recreational paddlers anywhere from one to two weeks, depending on the pace they want to set. (Racers in the annual Yukon River Quest complete this section of river in an around-the-clock rush of roughly 40 to 70 hours.) Put in at downtown Whitehorse, and emerge in the heart of Dawson City—or, if you’re shorter on time, you can start or end your trip in Carmacks, the approximate halfway point, instead. North America’s second-longest river doesn’t have much going for it that would appeal to your average paddling pro: there’s no dramatic whitewater, the scenery can be monotonous, and the camping’s not always ideal. But if you’re willing to put in the time, the Deh Cho’s 1,700 kilometres offers adventure at an easy pace. Communities dot the river along the way, so it’s unlikely you’ll go a day without seeing other boaters or cabins, and popping into towns to meet people and learn about the Dene cultures along the way is well worth the time.